Welcome to Gospel Tangents, the best source for Mormon history, science, and theology. I’d like to introduce Dr. Jonathan Stapley. 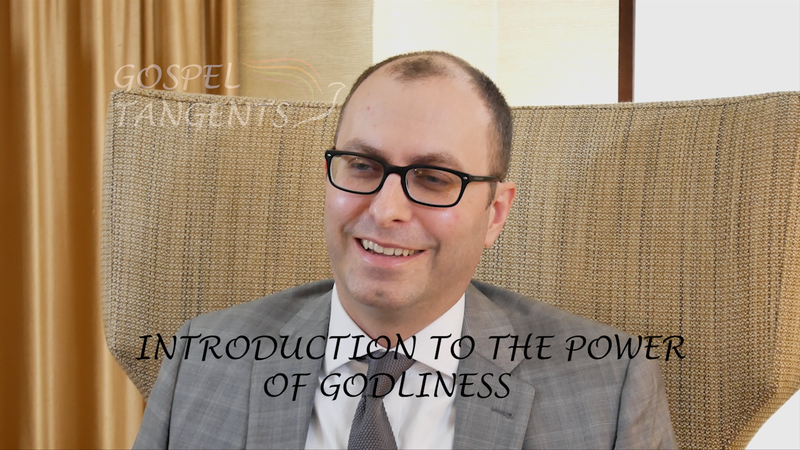 He has written a new book called the Power of Godliness, which talks about LDS priesthood. Jonathan introduces a new term into LDS lexicon: cosmological priesthood. What does that mean? Jonathan: I called that in the book, the “cosmological priesthood.” Now that I’ve done several book events, I’m tired of that, and I find it annoying and it is a little idiosyncratic and silly. I’m not saying that there was the Aaronic Priesthood, the Melchizedek Priesthood, and the Cosmological Priesthood. It’s a heuristic device that we can use to understand the dynamics and what was the work that these rituals were doing in the community that performed them. And so, we have an ecclesiastical priesthood and what I’m framing is the cosmological priesthood, the Nauvoo temple liturgy. And there’s how Mormons viewed them and how they interacted with these concepts, a shift and change with successive waves of converts and generations of Mormons. We’ll also talk about the trite phrase about priesthood and motherhood. Jonathan: When I talk to people about this, Mormons have created a dichotomy oftentimes between priesthood and motherhood, which I talk about in the book and I think isn’t particularly a historical, it is historical in the sense that it’s been around for a while, but isn’t, it doesn’t make a tremendous amount of sense within our tradition. But I will often ask, what is “the motherhood?” And that’s a phraseology that doesn’t really sound familiar to us. It doesn’t make, it doesn’t have an obvious meaning, because what motherhood is, is being a mother. That’s what it means. So, if you were to say, “the motherhood,” you could conceive of it as perhaps a group of mothers. That would be “the motherhood” perhaps. But priesthood is a similar construction. So, early on, the earliest revelations and the earliest documents we have, construct a priesthood that it is essentially the capacity of a priest, just as motherhood is the capacity of a mother. So, you would ordain somebody to be a priest or an elder and that would be priesthood. And quickly, Joseph Smith has subsequent revelations that create larger cosmological valances to what priesthood is. But what I tried to do is create a framework in the book that makes all the shifts in bicycle dynamics within Mormon discussions of priesthood, sensible and, and the way I do that is by framing one area of priesthood as an ecclesiastical priesthood. Don’t forget to check out our conversation on priesthood with Greg Prince! Check out our conversation…..